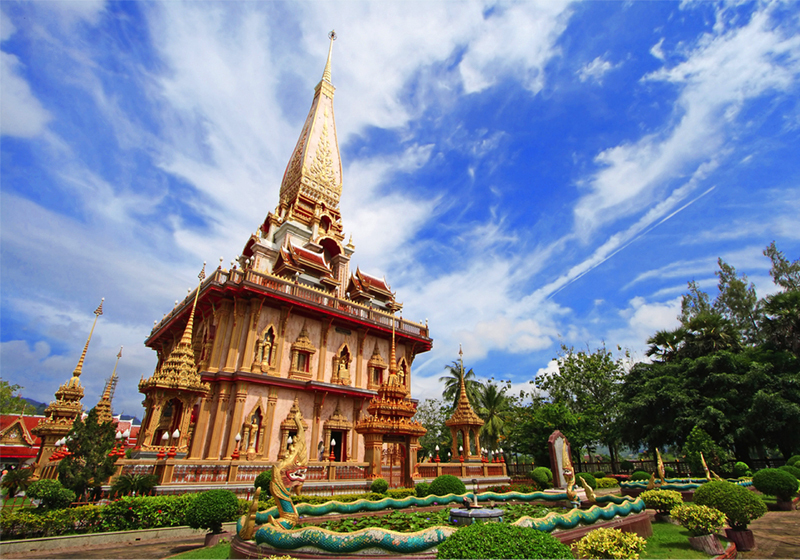 Chalong Temple (Wat Chalong) is the largest of Phuket’s temples, and the most visited. Locals and many Thai tourists come to pray and pay respects to several revered monks who were the founders of Wat Chalong, among them Luang Pho Cham and Luang Pho Chuang, 2 monks who were well known for herbal medicine and took care of local villagers and negotiated for a settlement during a chinese miners rebellion in the 1870’s. Chalong Temple is also on the route of many tours and is certainly a worthwhile stop off point, although I do recommend looking at some quieter temples too! We have visited many times – the photos on this page have been taken over the years 2006 – 2012. Short Description: The most important of the 29 buddhist temples of Phuket is Wat Chalong or formally Wat Chaiyathararam, located in the Chalong Subdistrict, Mueang Phuket District.